Update: Adding to the main event, Coachella have revealed their annual Day Club lineup. 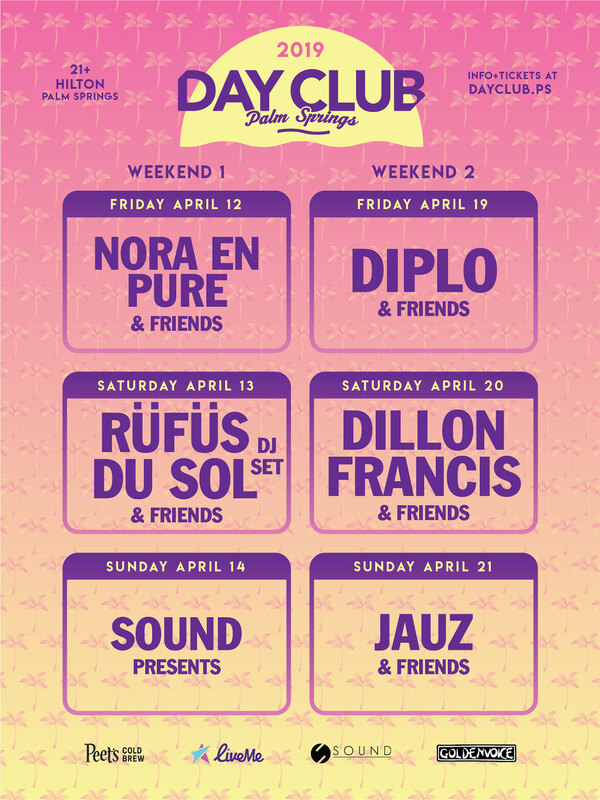 Running from noon to sundown both weekends of the festival at the Hilton Palm Springs, Day Club is the desert's biggest pool party and a stellar pre-party. 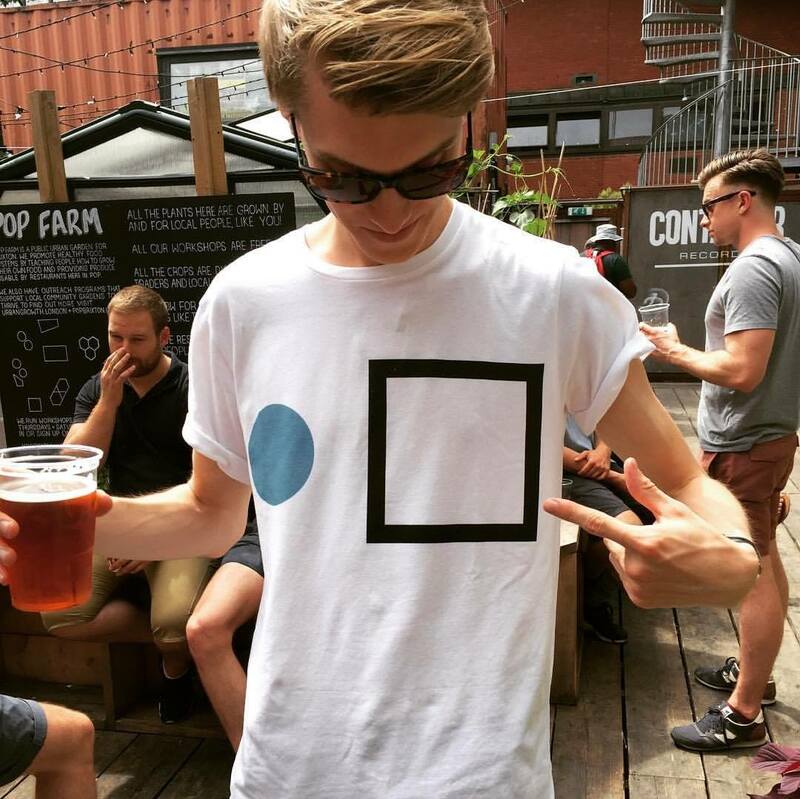 Always soundtracked by some of the biggest DJs in the world, this year the likes of Diplo, Rüfüs du Sol, and Dillon Francis will be behind the decks. 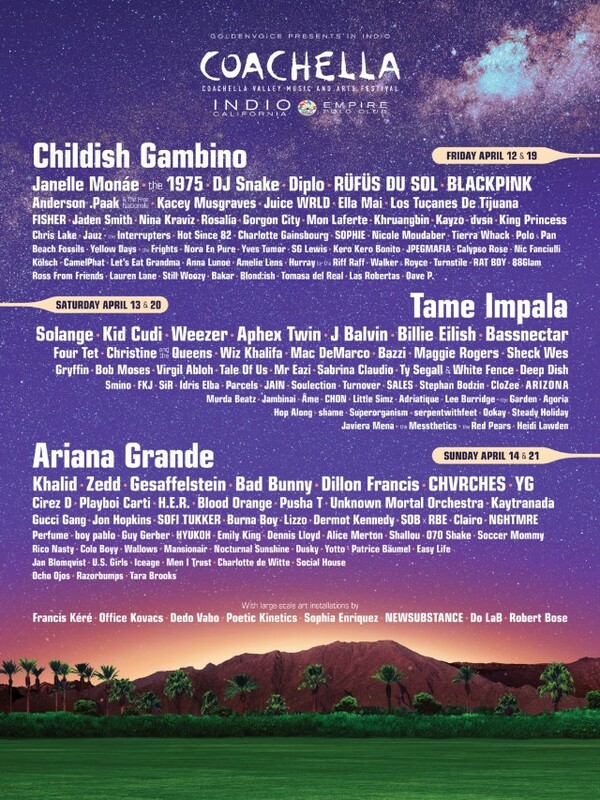 Coachella Valley Music and Arts Festival have announced the full lineup for 2019's edition, which will see the California festival headlined by Childish Gambino, Tame Impala and Ariana Grande. Also touching down in the Californian valley will be Solange, Kid Cudi, Aphex Twin, Janelle Monáe, The 1975, Pusha-T, Blood Orange, Diplo, Weezer, Mac DeMarco, Jon Hopkins, Anderson .Paak, Khalid, Wiz Khalifa, Christine and the Queens and many more. Coachella 2019 takes place 12-14 & 19-21 April at the Empire Polo Club in California. Find more info on our guide and book your festival experience here.